Sometimes in life, we all need to stick the kettle on, take a break and relax with a cuppa. 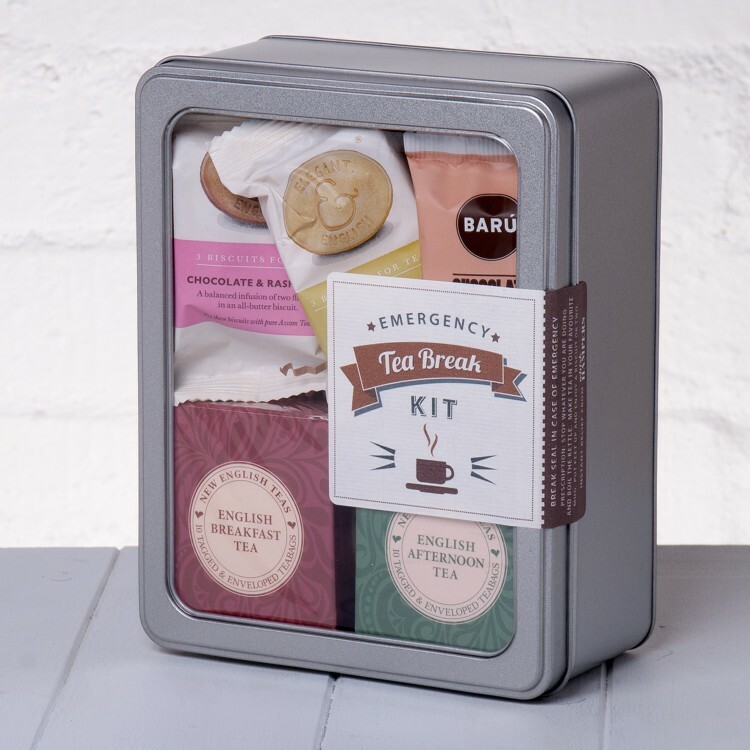 We've taken the wonderfully relaxing experience that is the Tea Break and packaged it in 'Emergency Kit' form - ready to delight and revive the Tea Lover in your life. 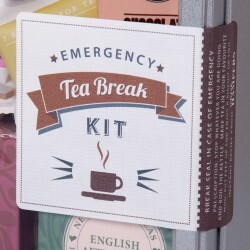 If you know someone who's a real tea lover and savours their brew, this Emergency Tea Break is perfect for them! 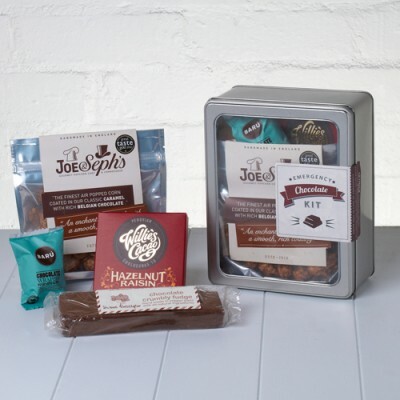 Great for a Birthday Treat, Thank You Gift or even just a wonderful way to let someone know you are thinking about them. Imagine the smile on the face of the lucky recipient when they realise you've sent them an instant Tea Break in a tin! 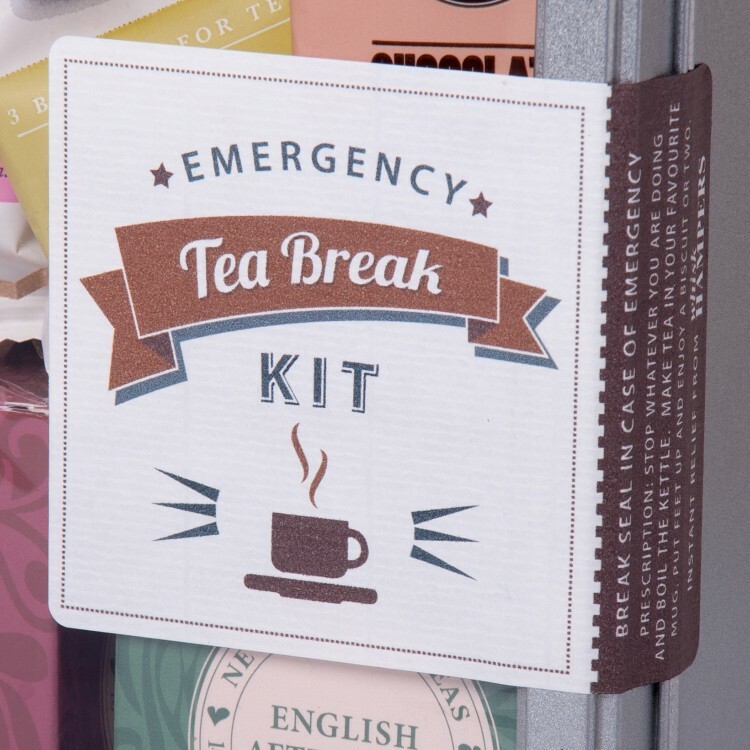 Tea Breaks beckon throughout the day and once the kettle is on, all the lucky recipient has to do is break the seal on their Emergency Tea Break Kit and they'll be moments away from a restful, relaxing and restorative Tea Break! We've included two types of tea bags to see you through the day - English Breakfast and Afternoon Tea. 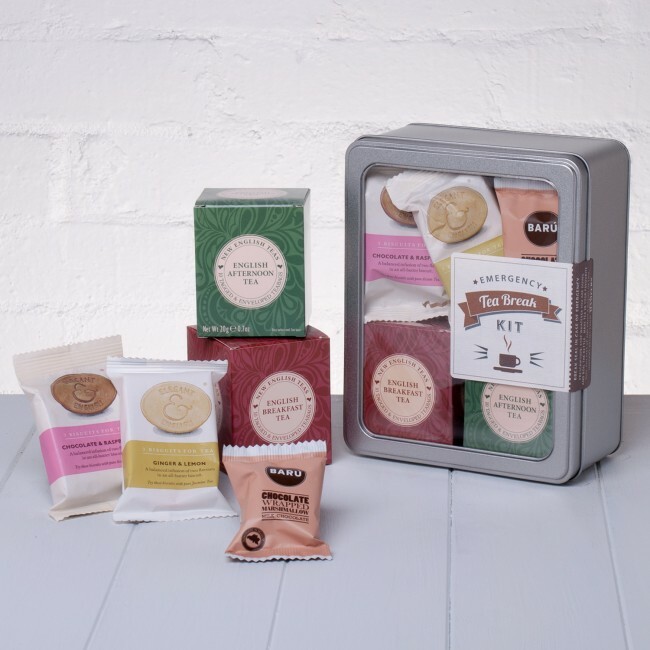 Delicious Ginger Biscuits (for dunking) and a Chocolate Marshmallow complete the tea trove of goodies! 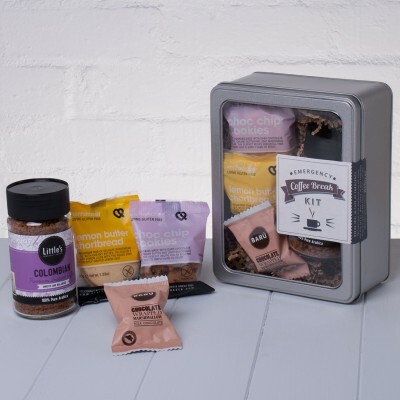 Displayed in a stylish tin (with a clear lid to show off the contents) lined with kraft shred and finished with a 'Break Seal in Case of Emergency' label, it’s a ‘ready to give’ gift - you can even add a personal message and specify delivery direct to the lucky recipient. Not value for money. 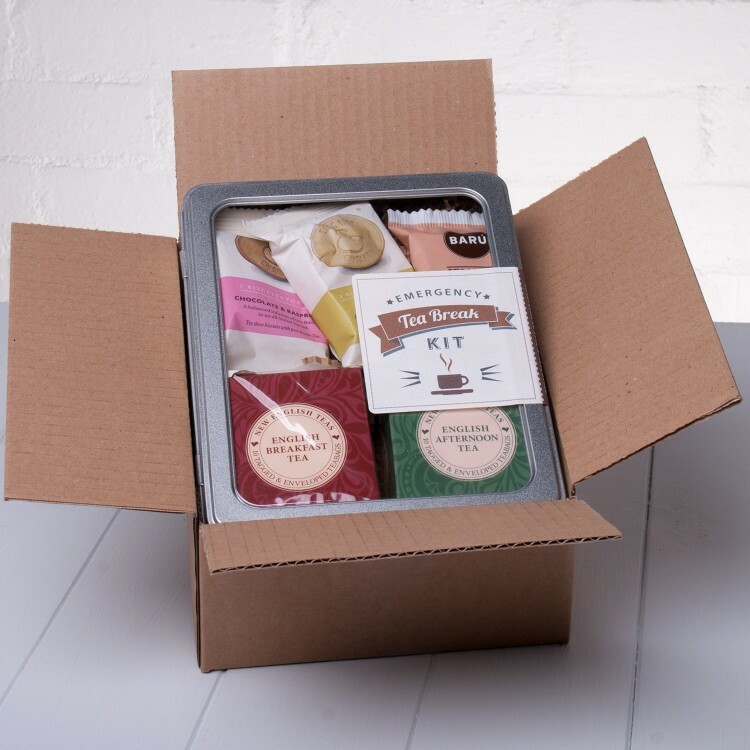 Much smaller on delivery and poor selection Thanks for your feedback and we’re sorry to hear that you’re not totally happy with your purchase. We carefully select the best photographs and provide detailed descriptions to portray a true and accurate representation of our products (including the weights and volumes and dimensions of... Read More. Thanks for your feedback and we’re sorry to hear that you’re not totally happy with your purchase. We carefully select the best photographs and provide detailed descriptions to portray a true and accurate representation of our products (including the weights and volumes and dimensions of the items included). Sorry that your expectations were not met on this occasion and we have taken your comments on board so that we can improve our offering. We also offer a money-back guarantee if you wish to return the item.